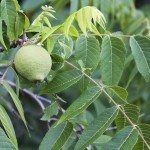 We have bought a home with large black walnut tree in front yard and an area under it that I want to plant flowers in. I understand the soil is not good for a flower garden. If I put in raised beds and fresh soil, will I have success? Black-eyed Susan and English ivy are thriving there now. Yes, a raised bed can help you garden under a black walnut. Make sure to line the bottom of the bed with wood or landscape fabric to prevent the tree's roots from entering the bed. 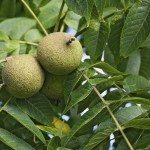 Also clean up any black walnut leaves or fruits that fall into the bed. This is because the roots, leaves and fruits produce substances that inhibit the growth of other plants.